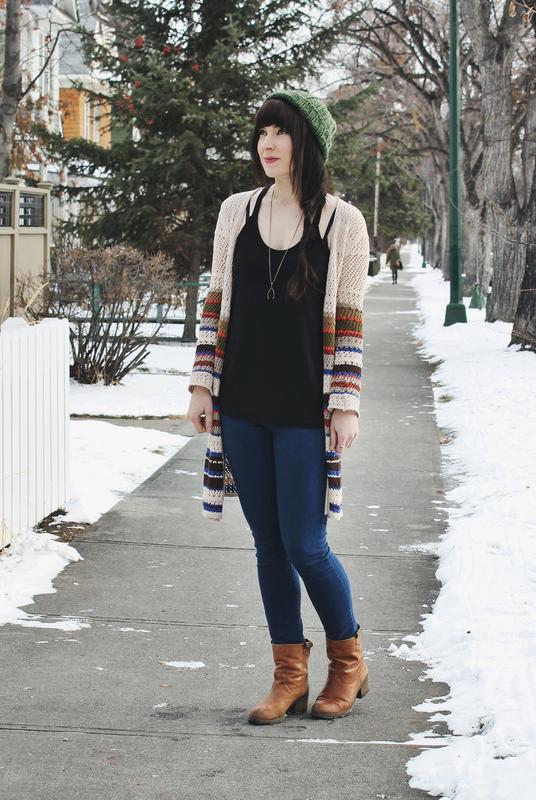 This outfit is defiantly a go to look for me in the winter. Sometimes It’s just easier to throw on a pair of jeans and a tank top. Add a cardigan and a beanie for warmth and be on your way. 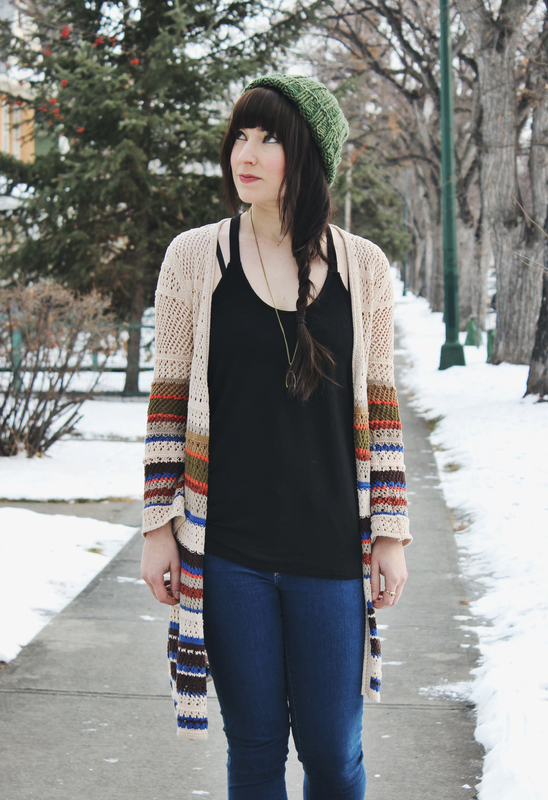 This is one of my all time favourite cardigans. It’s colourful but not too over the top or flashy and I love that about it. I’ve recently received a new beanie from Hyer Handmade Design. I love the bright pop of colour it adds to any outfit I wear it with. I’m used to my black and Grey Beanies so this mixes things up a little and I like that! I’ve also recently received a pair of Woodzee Sunglasses. They are pretty cool being made out of wood and all. I also haven’t had a new pair of sunglasses in a really long time, so they are a welcome addition to my wardrobe! 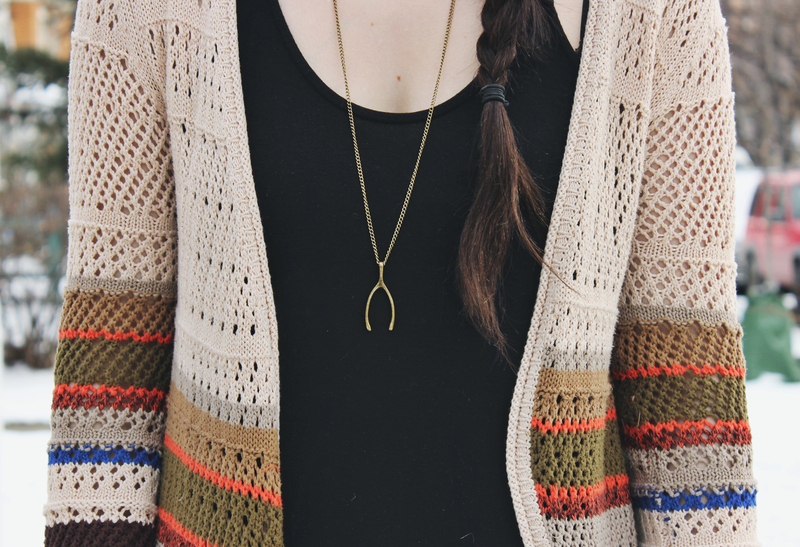 To finish off the outfit I added my new wish bone necklace by Coutukitsch. I’m pretty obsessed with it and i’ve been wearing it a lot lately. It’s just so cute and simple that it goes with almost all of my outfits. Beautiful as always! I love those glasses what brand are they? I saw some that look like it at a store called Crossroads but i forget the brand. Awe thank you! They are Woodzee I linked the website at the bottom of the post! Ah yes of course now I see, awesome thanks! 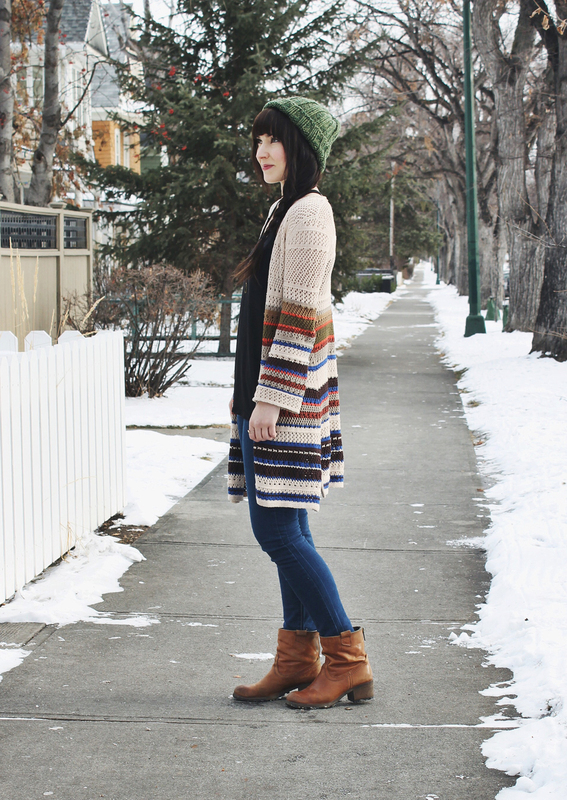 I love this outfit because it’s really cute and really is the perfect ensemble for a cold weather day. I’m particularly in love with those Woodzee sunglasses because the texture on them is so cool! You are full of style my dear!!! I love your style! This outfit is fantastic. When I’m not in dresses and skirts this is my favorite kind of go to look too. 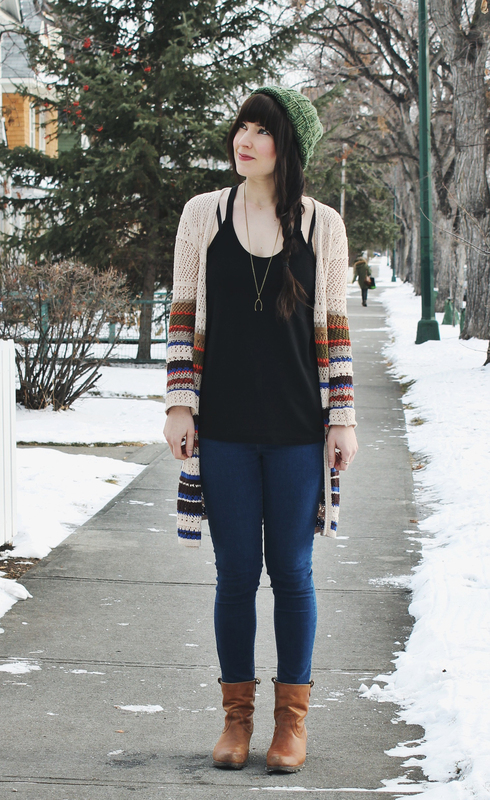 A tee or tank, jeans and a cardigan. Actually I’m wearing something similar today beaning n all lol! Your cardigan is gorgeous! I love the colors.